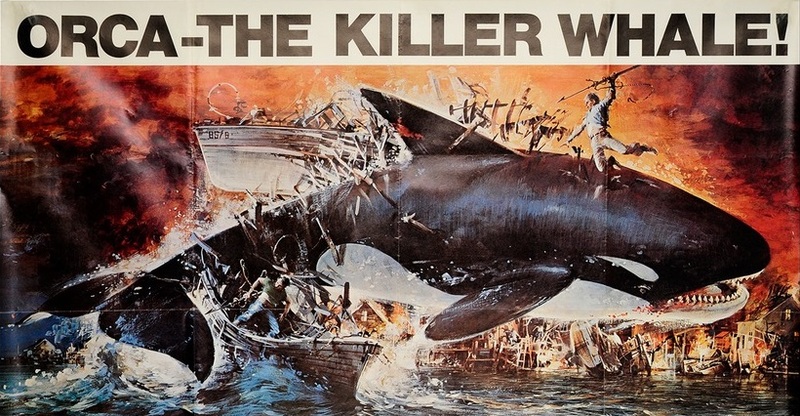 The duo watch "Orca," the 1977 film that tried to beat Jaws at its own aquatic-killer game. Not only is the killer whale more dangerous and fearsome than the great white shark, it can read blue prints, understands how flammables work, never forgets a face, has an unquenchable thirst for revenge, and can rub in a victory by flopping out of the water and wagging its tail at you. Too bad orca whales look so wholesome and cute, kind of undermines the whole fear factor. Join us as we discuss ancient native mysticism and the words professors could say in the 1970s that they definitely couldn't say today!